We hope you all have successfully applied for the TNUSRB Tamil Nadu Sub Inspector 2015 well before the last date for applying TNUSRB Tamil Nadu SI 2015 which is on 10th March 2015. Nearly 1.65 Lakh candidates applied for Tamil Nadu Sub Inspector Exam 2015 this time. The total TNUSRB Tamil Nadu Sub Inspector 2015 vacancy for this year is 1078. TNUSRB Tamil Nadu SI 2015 Exam Date is published in the notification is 23rd and 24th May 2015. When you can Download your TNUSRB Tamil Nadu Sub Inspector 2015 Hall Ticket? TNUSRB Tamil Nadu Sub Inspector 2015 Exam Hall ticket Published Today[May 16th 2015]. 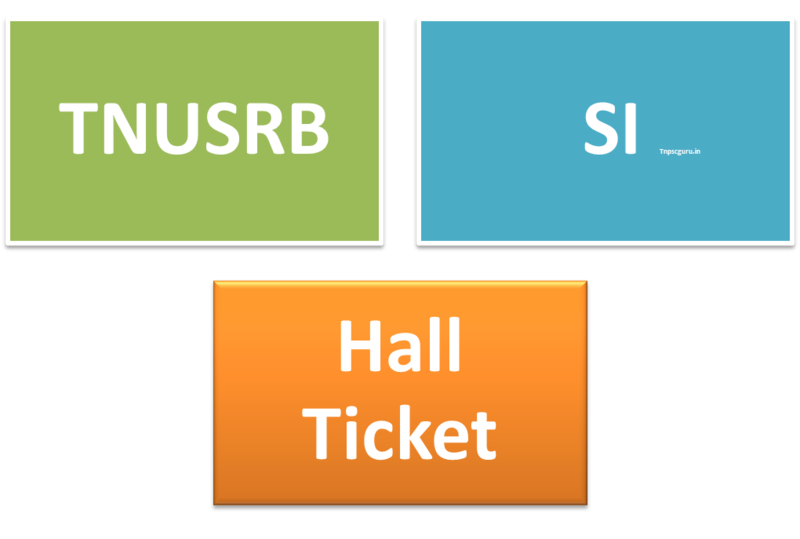 The hall ticket of all eligible candidates is uploaded in the official site of TNUSRB. The Exact link to download your TNUSRB Tamil Nadu Sub Inspector 2015 hall ticket is updated below to download easily. Latest: Last date for applying TNUSRB SI 2015 Exam Hall Ticket published on 16th May 2015 Download Soon. TNUSRB Sub Inspector 2015 Current Affairs Score Booster Materials. Exam date: 23rd may 2015. TNUSRB Constable Recruitment 2015 Latest News. To get latest Updates +1. How to download TNUSRB Tamil Nadu Sub Inspector 2015 Hall ticket? where can i get the answer for the above questions? I want to know what is cut of mark for si exam and how it is calculated from my total mark.